On Friday, March 17th, after a year of anticipation, I finally got to see the new Beauty and the Beast starring Emma Watson as the beautiful Belle and Dan Stevens as the Beast. Let me begin by saying that it was more than I ever imagined it to be. Emma Watson as Belle is everything Disney needed. She is not only beautiful and kind but she is also strong and curious about the world. She is not the passive Belle who only sits around and reads all day; instead, she is an inventor, a literate young woman who yearns for a world beyond the provincial life of a small town. She doesn’t need a hero; she’s her own savior and she is also a savior to many others. Belle is not a damsel in distress but a hero, and this remake of the story really tries to emphasize this point—something all women can fully appreciate. It wasn’t until the release of the trailer that I (and probably many others) knew Emma Watson could sing. But her voice is perfect for the role of Belle: it is soft, sweet, and not too over-the-top. She remains loyal to the original tone of the songs but adds her own personality to them at the same time—I mean, who doesn’t love her British accent? There were so many moments where I could picture Emma Watson and the original Belle side-by-side, singing. Yet Watson’s portrayal of the renowned princess adds a certain edge to the character. In the original, I think it’s safe to say that the characters and the story are very two-dimensional—that is, they’re not very fleshed out. Although it hints to the past’s of characters, it never actually explores them, leaving the viewer in the dark. But in this version, not only do we get to find out about the characters’ pasts, we also get to experience them. For example, we finally get to see what happened to Belle’s mother and learn why Maurice is so reluctant to speak of her. We also get a glimpse into the Beast’s life when he was a young boy. Elements such as these ones really added a whole new perspective to the story, making it even more lovable in so many ways. The story itself was so much more believable too because everything flowed so well together; every detail was explored and nothing went amiss. The special effects and CGI were spectacular! The “Be Our Guest” scene was breathtaking and done so, so well. It encapsulated everything that the Disney original was trying to do and added so much more to it. By the end of the scene, I was basically squealing from excitement. As someone who has always been disappointed by re-makes, I was just so relieved to have all of my expectations blown out of the water. Not to mention the movie added new songs, and they’re perfect, obviously. 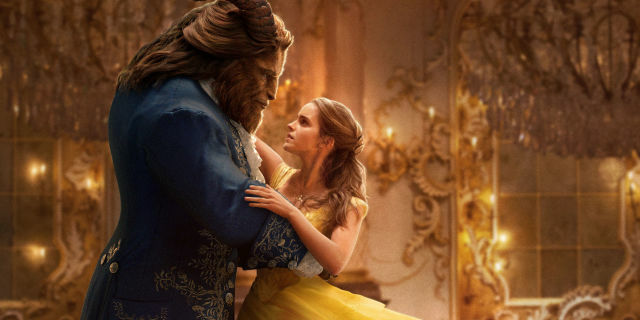 If you’re a Beauty and the Beast fan, you really need to see this film—and try to do so in theaters. At the end of the film, I was torn between smiling and laughing or bawling my eyes out. The characters, special effects, music, landscapes, and back stories were all so beautifully done, I could never imagine a better portrayal. Does Emma Watson's Vanity Fair Shoot Make Her a Bad Feminist?